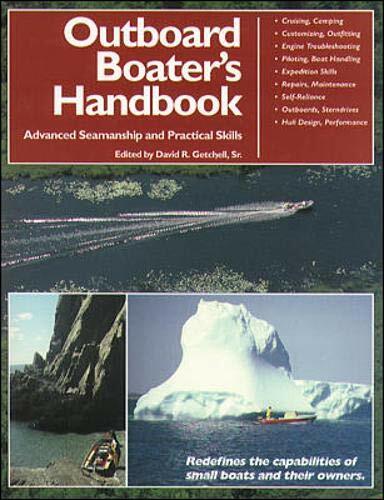 Drawing material from such diverse sources as equipment catalogs and boating journals, this handbook covers virtually everything about boating, from selecting a craft to navigating, nor does it neglect such related matters as boat trailers, equipment upgrades, maintenance, and security. The illustrations illuminate the text's points and enhance the instructional thrust; the maintenance sections are easy to follow; and the safety sections, valuable to any boat owner, are succinct. Moreover, by employing the book's do-it-yourself methods, the small-boat owner stands to make significant savings both in maintenance costs and in the costs of alterations and enhancements of equipment. A worthy addition for libraries serving small-boat enthusiasts. From Booklist Mike Tribby --This text refers to an out of print or unavailable edition of this title. If like most do-it-yourselfers you've relied on a sketchy owner's manual or one of those abstruse shop manuals written for professional mechanics to keep your onboard running, here's an end to your frustration. This abundantly illustrated nonthreatening guide is filled with effective maintenance, repair, and advanced troubleshooting advice for two cycle and four-cycle engines from 2 to 250 horsepower. Although outboard engines have become more reliable, they're also more sophisticated and require more than a passing knowledge of mechanics to troubleshoot and repair. 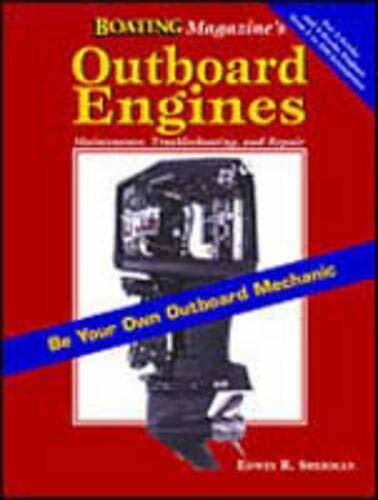 Outboard Engines covers recent developments such as electronic ignition, oil injection systems, and four-stroke powerheads. Your fears about the reliability of your "finicky" outboard are over! Far from being useless, old outboards are available, easily maintained, and can still be good, reliable performers. You can pick up an old outboard for under $100, and restore it to operating condition for half that. Peter Hunn-a lifetime collector of outboard motors-details their history and provides practical advice. A listing of antique outboards will enable anyone to identify a motor and learn its vital statistics. Chapters cover care, simple repair, and operation and include a comprehensive oil-mix and spark plug chart. 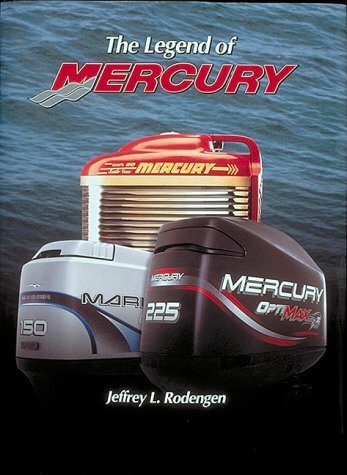 The Legend of Mercury Marine by, four time Pulitzer Prize nominee, Jeffrey L. Rodengen is destine to join the best-selling ranks with Jeff's other nautical best seller's, The Legend of Chris Craft, Evenrude Johnson and The Legend of OMC, Serving The silent Service: The Legend of Electric Boat, and Iron Fist: The Lives of Carl Kiekhaefer. Nominated twice for a Pulitzer Prize, this book chronicles the great success and remarkable history of the world's largest maker of outboard motors. First known as "detachable rowboat motors," a race for outboard speed and power has propelled the marine industry from Evinrude's small shed in Milwaukee into a billion-dollar worldwide company.